A6, the alliance of Europe’s largest Air Navigation Services Providers (ANSP), has announced it will bid for TEN-T funding to define the best model for common services provision to support deployment of future network and datalink infrastructures. The A6 grouping of ANSPs, working in partnership with other ANSPs from across Europe’s FABs, is making a joint proposal to develop the future requirements, technical architecture, governance, business model and financing of New European Common Service Provision for DLS (Datalink service) and PENS 2 (Pan European Network Service, phase 2). The Bid Consortium composed of ENAV (Italy), DFS (Germany), NATS (UK), Aena (Spain), DSNA (France) and LFV (Sweden) is based on a full collaborative approach with other ANSPs. Supporting A6 on the TEN-T bid will be the ANSPs of Netherlands, Belgium, Portugal, Switzerland, Malta, Greece and Cyprus. A6 are keen to include other stakeholders in the consultation platform which will actively participate in the Common Service model definition for DLS and PENS 2. The A6 bid represents an alternative ANSPs proposal to the expected Call for Interest for centralised services announced by Eurocontrol, for those Centralised Services which, as recognised by the CANSO community, shall be put under ANSPs responsibilities. As a consequence, the A6 Steering Board confirmed yesterday the decision not to take part in the Call for Interest and Call for Tender process under the Eurocontrol initiative for Centralised Services #3, #8 and #9. 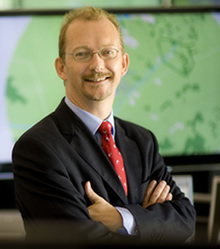 Richard Deakin, Chair of the A6 Steering Board, said: “We believe the industry is best placed to provide Datalink and network services, which are already mature and already contributing to greater efficiency across the European network.